Halloween is a fun holiday for both children and adults – but with all the candy and sweets, we sometimes end up with cavities, tummy aches, and very hyper children. 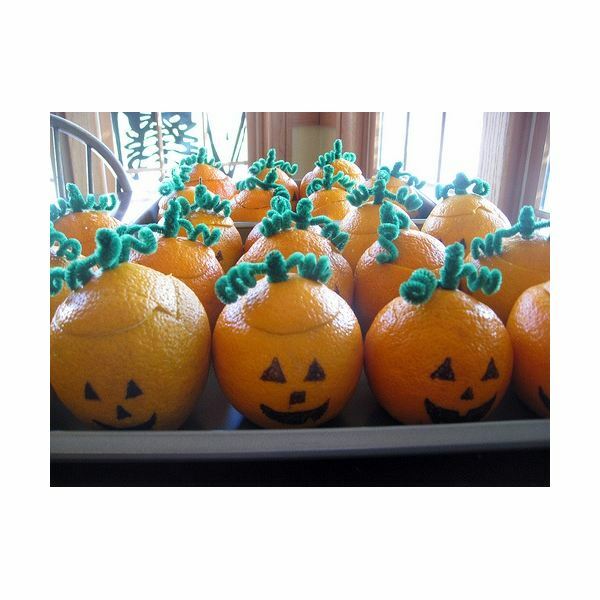 There is a better way by incorporating healthy Halloween foods keeping with the festive theme. This article brings you ideas on what to pass out to the "trick or treaters" rather than sweets and a few ideas on fun party food to present at your gatherings. 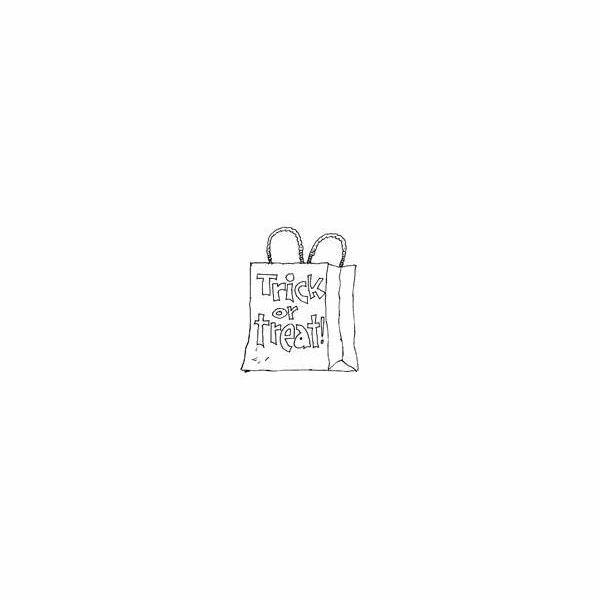 I wish we were in the day that we could bake and prepare food snacks for the children, slip the treats in baggies and place these in the "trick or treat" bag. But, let’s be realistic, because of the fear of strangers and some unfortunate events, this is no longer a good thing. Instead, look for pre-packaged items that are healthy snacks and easier to hand out. Here is a list of some healthy Halloween foods for the bag. Having a party at your home is quite different than passing out treats in the neighborhood. Everyone knows you and is ready to enjoy some delicious snacks you can prepare with a Halloween flair. Here are a few of my favorites and I hope they become treats that your family will enjoy. Place cream cheese in a bowl and tint it orange using two drops of red food coloring and three drops of yellow. Mix thoroughly. Spread the orange cream cheese on the rice cake to make the pumpkin. Invite the children or participants to make jack-o-lantern faces using the raisins or dried fruit. Mini-pretzels (twisted ones) can be used to outline the eyes and nose if you wish. Slice peeled carrots into 1-inch thick chunks and top each with a dollop of whipped cream cheese (white). Place a pitted black olive in the center. Place these on a tray for a quick-bite appetizer. Since we are talk about fresh produce, purchase a veggie or fruit platter from your supermarket (or make your own) and prepare a black and orange dip to serve along. Think about a pumpkin dip, carrot dip, or black bean dip to bring in the Halloween colors. Apples are synonymous with fall and Halloween. Core each apple and scoop out the seeds and hard contents. Fill the apple with peanut butter, cream cheese or even a cheddar cheese spread. Top each apple with raisins and granola. Chill these in the refrigerator. Carefully slice the apple into wedges, or with small apples your guests may just want to bite in. Cut off the top of an orange and carefully take out the inside sections. With a black marker, create a Jack-o-Lantern face on the rind. Take the orange sections and add other fruit chunks and fill up each orange to serve a fun fruit salad. Use green ribbon or pipe cleaners to make a stem. You will need to purchase clear disposable gloves. Fill each glove with fresh popped popcorn (either plain or flavored with parmesan cheese or spices). Tie each glove shut with an orange or black ribbon. This is especially fun for the kids. Prepare your favorite sandwich and cut shapes into the bread with Halloween cookie cutters. Place these on a platter for cute finger sandwiches. It’s not hard to create healthy Halloween foods – you just need some imagination. Think about adding adhesive Halloween stickers to your "trick or treat" handouts, and make sure your party table is adorned with Halloween trinkets and centerpieces to set the scene. Not only will you feel better about what you are handing out or serving, the other parents will thank you as well.